The best vacations are Round trip departures daily from Hill City & Keystone, SD Early May through Mid October. BlackHillsVisitor.com © Black Hills Visitor. All rights reserved. Reproduction of any part of this publication without the express consent of the publisher is prohibited. The information included in this publication is believed to be accurate at the time of publishing. Additional advertiser information, articles and more can be found online at BlackHillsVisitor.com. Looking for more information, things to do, and sites to see while you're here? Visit us online! Prepare to drive slowly during the summer with two-lane, winding roads. No matter where your path is taking you on your Black Hills roadtrip, scenic views will meet you along the way. It’s no secret the Black Hills are filled with great views in every direction. Take the backroads and explore the beauty. Your mountain adventure begins here! To find more local events, festivals, and concerts­—visit BlackHillsVisitor.com. The Black Hills are filled with energy during spring and summer months. Participate in an event while you're here! The great outdoors In every direction, have your cameras ready as you enjoy the breathtaking beauty of the Black Hills and area communities. People have understood the significance of the Black Hills since we first arrived. Because of a complex cultural history, different groups of residents and visitors have expressed different interpretations over timeâ&#x20AC;&#x201D;but in the end, the areaâ&#x20AC;&#x2122;s value has never been questioned. No matter your age or fitness level, the Black Hills are an ideal stage for a great vacation experience. Prepare to drive slowly during the increase of traffic in the summertime. There are many two-lane roads. This small mountain range offers everything from picturesque drives, to easy strolling trails, to significant peaks requiring solid hiking or climbing gear. Because of the Native American belief that the Black Hills are sacred lands, many sites also have interestingâ&#x20AC;&#x201D;and sometimes controversialâ&#x20AC;&#x201D;stories. This iconic igneous butte near Hulett and Sundance, Wyoming, rises a dramatic 867 feet from base to summit. It was the country’s first National Monument, established in 1906 by President Theodore Roosevelt. Native Americans have several names for the butte, including Bear’s House. The name Devils Tower came from a mistaken translation of a conversation with a Native speaker during a military expedition. While the Tower is a favorite climbing spot, attracting hundreds of climbers each summer, several Plains Indian tribes consider climbing a desecration of a sacred place. Most climbers honor a voluntary climbing ban during the month of June each year, when Native ceremonies are conducted around the monument. Black Elk Peak Formerly known as Harney Peak, Black Elk Peak is the tallest mountain between the Rockies and the Swiss Alps. At the top, hikers can explore the stone fire tower and witness a magnificent view across the Black Elk Wilderness Area. The approximately seven-mile-round-trip hike includes terrain from easy to relatively strenuous, and it requires a halfday to complete. When traveling with children, you might schedule the day. Remember to carry water, lunch, and rain gear— sudden afternoon summer storms are common. Changing names Because General William S. Harney—after whom the peak was named in 1855—was known to have led attacks against Native Americans, the US Board on Geographic Names officially renamed the mountain in 2016. Nicholas Black Elk, the peak’s new (and original) namesake, was a revered Lakota holy man who received an important vision of human unity when he was only nine years old. Don’t let vehicle service put the “BRAKES” on your vacation. We’ve got you covered! Drop off your vehicle and our courtesy driver will take you and the family to Jump Craze or Outside In. You choose, and it’s on us! SAVE 10% ON ANY SERVICE UP TO $1000. Discover a piece of history as you meet the four United States presidents carved in stone. Your visit will be lifetime treasure. celebration of America’s Bicentennial. Then, say hello to Presidents George Washington, Thomas Jefferson, Theodore Roosevelt, and Abraham Lincoln from the amphitheater viewing deck. Make it extra special and go at sunset when dusk is settling behind the monument. Looking for a quick hike? Walk the half-mile loop (which includes 422 stairs) for unique views from the base of the Monument. Mount Rushmore National Memorial 13000 SD-244 Keystone, SD 57730 5a.m.-11:30p.m. Events to Attend Evening Lighting Ceremonies are held beginning the Friday before Memorial Day to Sept. 30 each year. (May 25-Aug.11: Nightly at 9 p.m.; Aug. 12-Sept. 30: Nightly at 8 p.m.) Military and veterans are invited on stage to participate in a flagfolding ceremony. Mount Rushmore was originally envisioned to be Old West heroes carved into the Needles' granite spires. At the site Hours and Seasons The visitor facilities at the Monument are open all year, seven days a week, with the exception of December 25, when buildings are closed, but grounds are open. After you walk through all there is to see outside, visit the Lincoln Borglum Visitor Center and Museum and be entranced through interactive exhibits and two 125seat theaters showing “The Shrine,” a short film that provides an introduction to the memorial. Take the audio tour, and visit the gift shop to find the perfect memento to take home. Whether it is a keychain, stuffed animal, or a beautiful piece of Black Hills Gold, it's a great way to remember your time here!, Before you go, grab a bite to eat at Carvers Café And don't miss the ice cream! It's President Jefferson's recipe. President Calvin Coolidge formally dedicated the carving project of Mount Rushmore on August 10, 1927, and efforts continued on the carving for the next fourteen years. Due to the lack of funds, the four figures were never completed. Entrance Fees There is no admission fee charged to see the Memorial, as per the wishes of Borglum himself. However, a feebased system provides convenient parking: $10 per vehicle and $50 per bus. Be a part of history in the making as you visit Crazy Horse Memorial—the world’s largest carving in progress. The details of the exquisite carving can be seen from the viewing deck binoculars near Laughing Water Restaurant®. started the project with only $174. Labor-intensive tasks included hand-drilling holes for the dedication blast and the countless blasts that followed. Later, he built a 741-step staircase, which he climbed several times daily— often to restart “Buda,” the air compressor at the bottom that powered his drill. Despite weather that could make work difficult, Korczak continued the monumental endeavor yearround (weather permitting). Where Located north of Custer at 12151 Avenue of the Chiefs, Crazy Horse Memorial is hard to miss as you drive along Highway 16/385. Fees and Donations The project, founded and operated on a strong belief in free enterprise, is funded by visitor entrance fees and donations and does not accept government funding. the first blast on the Mountain took place. Among those in attendance were five survivors of the Battle of Little Bighorn. Ruth's Legacy of the Native American Educational & Cultural Center thrives. American Indian artists and artisans create their work and visit with guests. Don’t Miss inside Inside the 40,000-squarefoot Welcome Center is where the storytelling begins. Two theaters show the must-see “Dynamite & Dreams” 20-minute video. The Mountain Carving Room focuses on the mountain caving, with the short DVD of most recent tools and carving steps. THE INDIAN MUSEUM OF NORTH AMERICA®, the visitor complex, and the scale models. Current progress is focused on the carving of Crazy Horse's Hand and the Horse's Mane area. Today, the Dream from long ago is still embedded in those who remain at Crazy Horse, including a dedicated volunteer Board of Directors, two of Korczak and Ruth’s daughters who serve as CEOs, as well as many dedicated, skilled professionals. A project that began simply with a letter has grown into an icon of history, culture, and humanity; and it continues to impact the state and nation. close up to the magnificent wildlife. Visit in late spring and early summer and you may be able to see the baby buffalo prancing around the pastures. U.S. President Calvin Coolidge made his "summer White House" in the park. He announced from the Black Hills that he would not seek a second full term in office in the election of 1928. Temporary entrance license: $20 per vehicle, $10 per motorcycle Annual park license: $30 (first vehicle); $15 (second vehicle) All licenses are valid at all South Dakota State Park areas. Educational opportunities Take a guided nature walk led by park naturalists, participate in a canoeing class, or try your luck catching fish. For the kids, the Junior Naturalist Program teaches outdoor learning through hands-on activities. Wildlife Over the past 90 years, the park has become a model of conservancy and land use with the reintroduction of elk, bison, pronghorn antelope, Rocky Mountain big horn sheep and goats into the preserve. Remember, all of these creatures are wild and should not be approached; view them from a safe distance. Thousands gather every year to watch as cowboys gather the herd during the annual Buffalo Roundup. famous sign reading: â&#x20AC;&#x153;Custer State Park is a place where one can still be an unworried and unregimented individual and wear any old clothes and sit on a log and get his sanity back again.â&#x20AC;? The Visitor Center offers an array of features that include a large, interactive map, a 20-foot-tall scale model of the Cathedral Spires, and numerous displays depicting the natural world of Custer State Park. It also has a 100-seat theater where a 20-minute film, narrated by Kevin Costner, immerses its viewers to take in the aspects of the park as they visit. Whether you are an outdoor enthusiast or simply traveling through to see the scenic views, Custer State Park has something special for every Black Hills adventurer and visitor. through odd granite spires, which are popular among rock climbers and through the Ponderosa Pine forests that are popular in the Black Hills. The route is 1.5 miles and is strenuous. It intersects with a path going to the famed Black Elk Peak, the highest summit in the United States east of the Rocky Mountains. The unique rock spires are a must-see in the park! Sunday Gulch Near Sylvan Lake, the Sunday Gulch Trail is a fourmile loop going over boulders and across streams – sometimes streams going over boulders! Don’t worry, there are handrails to guide hikers over the slippery sections. You’ll want to wear sturdy hiking shoes that you don’t mind getting wet. While it is a strenuous path, the views of the waterfalls are worth it! Lover’s Leap Located across from the Peter Norbeck Education Center, this three-mile loop goes up-hill for a while before evening out. This trail has views of Cathedral Spires, Black Elk Peak, and Mount Coolidge. The trail crosses several streams, which are known to attract buffalo. views of Cathedral Spires, Black Elk Peak, and the sprawling Black Hills forests. The trail itself is a little over one mile and branches off from Trail #4 to Black Elk Peak. It requires some climbing over granite boulders and traversing steep, rocky inclines, but it is a rewarding hike! Prairie Trail The Prairie Trail is a great way to see the park’s amazing environment diversity! This three mile loop, and it is easy and level. The trail goes through a small creek and passes a variety of plants and wildlife along the way. THERE’S A LOT TO TAKE IN YOU’RE IN THE LARGEST AND OLDEST PARK IN SOUTH DAKOTA, AND ONE OF THE LARGEST STATE PARKS IN THE COUNTRY. WILDLIFE VIEWING, SCENIC DRIVES, HIKES, LAKES AND ACTIVITIES, LODGES, CAMPGROUNDS, ETC. Bison are aggressive, unpredictable, and fast, reaching speeds up to 40 mph. They appear calm, but can become aggressive in an instant. If you see a bison, keep your distance, and do not approach. Roaming around Through pioneering and contemporary conservation efforts, the American bison, has become synonymous with the Black Hills region. This is in itself remarkable considering that less than 500 bison were left on the continent in the late 1880s. For centuries before Europeans came to the New World, native tribes relied on bison for food, clothing, tools, and shelter. Bison were also a spiritual symbol to some tribes, such as the Lakota. With the introduction of horses and guns in the 16th century, Native Americans were able to more efficiently hunt bison. However, the new technology brought traders, trappers, and settlers who hunted bison for their hide and for sport, A handful of worried ranchers saved a few of the remaining bison. Today, there are approximately 500,000 head of bison throughout North America. Where to See Them Visitors can watch the Custer State Park Buffalo Roundup in the fall where the Custer State Park herd of 1300 bison is rounded up. Also in Custer State Park, the Wildlife Loop Road occasionally has a bison herd within viewing distance. Other great locations to catch views of bison are near Wind Cave National Park and Bear Butte State Park. “Bison” & “Buffalo” What’s the difference? If you say either buffalo or bison, people would know what you’re referring to, but bison is considered the correct term. Bison have a shoulder hump of muscle and large heads. Buffalo on the other hand, have smaller heads and no hump. Bison have smaller horns than all species of buffalo. Located in the heart of the Southern Black Hills, our Custer lodgings offer a convenient home base to Mt. Rushmore, Crazy Horse, Custer State Park, Jewel Cave, and the Mammoth Site. After the 10-minute introductory video and a 30-minute guided tour, stroll around the dig area at your own pace. Then, explore the Ice Age Exhibit Hall featuring full size replicas of mammoths and the evolution of bison. Paleontologists work at The Mammoth Site year round conducting research and continuing fossil excavation. fauna were trapped and died in a spring-fed pond near the edge of Hot Springs. Over the course of the next 50,000 years, the hole filled with sediments and mammoth remains. Discovered by chance in 1974. While excavating for a housing development, earth-moving equipment exposed one of South Dakotaâ&#x20AC;&#x2122;s greatest treasures. The Site was found to contain the largest concentration of Columbian and woolly mammoth bones discovered in the world. sinkhole and exhibits attract visitors year-round. The bones are on display as they were discovered for an in-situ exhibit. ROOMS Jump back in time into the rich history of the Black Hills. Rooms based on Western South Dakota’s past, present and future. These scenarios offer heart racing and addictive fun for players all ages. Take the challenge and escape the room in 60 minutes, if you can! Award winning, hands-on historic learning experience for the whole family Mining Museum is a replica of 1895 mill built on the Big Thunder property. See a stamp mill, crushers, winches, blacksmith equipment. UNDER NEW OWNERSHIP | NEW GIFTS ARRIVING DAILY #BHVisitor YOU DESERVE THE BEST. OUR PRICES MAKE IT POSSIBLE. Vibrant culture with an array of events and local happenings, Rapid City offers endless activities for travellers of all ages. Founded in 1876 by a group of prospectors, Rapid City stands as the second largest city in South Dakota. It offers a variety of shops, boutiques, family attractions, parks, galleries, and restaurants. No matter your area “hub,” Rapid City is a must-see community in the Hills. Stroll through a downtown of bustling streets lined with a cozy collection of historic buildings with phenomenal architecture restored to its original state. Peek into the town’s unique shops and galleries, and pick up one-of-a-kind pieces of Native American artwork and local craft goods. 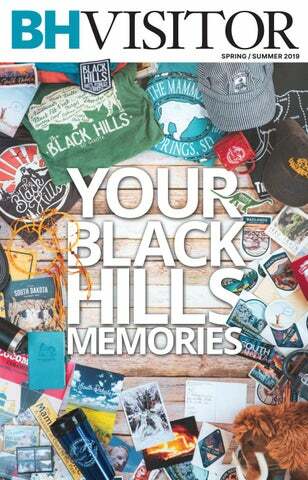 Shoes, clothes, gifts and more will be a perfect keepsake to remember your trip to the Black Hills. While you’re here, don’t miss Art Alley, located between 6th and 7th Streets, for a colorful expression of the area’s urban artists. It’s a mosaic of graffiti that is constantly evolving. life-size concrete dinosaur statues overlook the town. Looking for a secluded spot among the trees? Or maybe urban spots filled with activity? Rapid City has it all! public space in the downtown district where you can enjoy free activities, including special events, art, fairs, and concerts. You’ll be able to see families running through the interactive fountains, eating handmade ice cream cones, and drinking fresh smoothies from the café out on the green daily. Surrounded by 1.5 million acres of ponderosa pine forests, national parks, trail systems, and breathtaking geologic formations. Go out for a hike, bike, climb, or horseback ride— and then come back to town for drinks, dinner, nightlife, and a good nights sleep. Ellsworth AFB In 1942, Rapid City Air Base (now Ellsworth Air Force Base) was established six miles northeast of the city. Today, Ellsworth serves as one of two B1 Bomber home bases in the continental United States. Just outside the front gate of the base, visitors can walk through the free South Dakota Air & Space Museum for an up-close look at the aircraft that have been flown throughout the years. Experience big art downtown from sculptor Masayuki Nagase–The Sculpture Project: Passage of Wind and Water. Test your skills on 18 challenging holes. Explore the wonderful hideout of pirates. Omaha St. n St .
97 ROOMS, “GET COMFORTABLE” Roam around byRapid spending outdoor patio City SDtime out at the gorgeous FREE WIFI, equipped with grills and a firepit. staybridge.com/rapidcitysd Visit the on-site 24 hour fitness center, multiple INDOOR POOL & station ®and indoor pool with hot tub. Snuggle up in front HOT business center of the fireplace in the TUB, A N I H G H OT E L FITNESS CENTER, GreatInn Room which offers a Library with books & games for the whole family. Holiday Express & Suites Rapid City - Rushmore South COMPLIMENTARY And remember...WiFi through-out the hotel is always free. 1611 Caregiver Circle 1314 Luna Ave.
3723 Eglin Street, Rapid City, SD 605.716.3605 Staybridge Suites Rapid City—Rushmore bestwestern.com/ This residential-style brand of hotel within IHG, targets extended-stay and corporate PlusRapidCityRushmore travelers. Make us your home away from home for a night, a week or even a year! 605-718-0772 hiexpress.com/rapidcitysdAt this brand new 100% non-smoking hotel, you will enjoy first class amenities including complementary hot & cold breakfast buffet, evening social offering a lite-meal and beverages, fully equipped kitchenettes and free laundry facilitates just to name a few. “GET COMFORTABLE” Roam around by spending time out at the gorgeous outdoor patio equipped with grills and a firepit. Visit the on-site 24 hour fitness center, multiple station business center and indoor pool with hot tub. Snuggle up in front of the fireplace in the Great Room which offers a Library with books & games for the whole family. And remember...WiFi through-out the hotel is always free. Watch Native American Artists paint and etch pottery with symbols important to the Lakota culture. 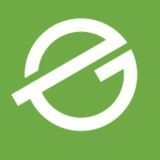 Go to VisitRapidCity.com/deals to start saving. Rhythm of Rapid City Downtown’s heart beats with the power of music. See national acts, listen to an acoustic set, catch an indie band, or dance to resident DJs spinning beats. Free music fills the summer air on Thursday nights during the Thursdays at the Square and Summer Nights. Whatever your vibe, you’re going to find it here. Treasured artifacts blend with modern Native American art in museums and galleries. Cultural celebrations, such as Native POP and the Black Hills Powwow, mix rich traditions with contemporary interpretations. Prairie Edge houses the finest Northern Great Plains art, crafts, jewelry, books, and music. Then venture along to other boutiques featuring handmade items. Get in the game Sports fans can take in hardhitting action downtown. Join locals cheering on the Rapid City Rush as they take the ice, root for the SD Mines Hardrockers’ men and women competing in NCAA Div. II athletics, or buck into the wild western action of the PRCA at the Black Hills Stock Show and Rodeo. Bronze commanders-in-chief have executive authority over downtown Rapid City. Find the City of Presidents guide at an information center or online; go on a presidential scavenger hunt and snap a picture with your favorite president on a self-guided tour. Public art runs as wild as buffalo in downtown Rapid City. With more than 10 utility boxes dripping in colorful local artwork, a 9,000-pound interactive limestone sculpture in Memorial Park, a two-story mural depicting the Badlands painted on the Elks Theatre building, the 21 hand-carved granite pieces that compose The Sculpture Project, and Art Alley’s constantly evolving canvas—everything is fair game. Magical moments abound as snow covers downtown Rapid City. Revel in the holiday spirit at Main Street Square’s Holiday Celebration and the Festival of Lights Parade, where you may even see Santa. Ice skating in the heart of town, enchanting storefront displays, and dazzling theatrical performances will make your spirits bright. Downtown absolutely glows with celebrations to ring in the New Year. After dark The glass is always half-full downtown. Soak up skyline sunsets at a rooftop bar complete with dinner and cocktails. Find your way to the speakeasy’s secret entrance, play classic games at the barcade, and enjoy local brews and your favorite drinks at the downtown the bar scene. Of the 44 presidents – why are there only 43 statues downtown? President Cleveland was 22nd and 24th! Main St. & 6th St. John Adams George Bush Sr. Many know the Hotel Alex Johnson to host spirits, past staff; and, of course, its ghost in residence – the BrokenHearted Lady in White. It’s believed many years ago, a young woman on her wedding day, being left at the alter, committed suicide on the 8th floor. Now, it is said that a woman in white can be seen wandering the halls. Firehouse Brewing Company is a unique and interesting landmark in Downtown Rapid City. In 1915, this location was the headquarters for the Rapid City Fire Department. Restored in 1991, the building reopened and is now the state’s oldest microbrewery. Now a full restaurant, the Firehouse is also known for its numerous brews that change frequently. This stop is a local’s favorite and a visitor’s must-see. Catch a show at the theatre upstairs during the winter season and enjoy free live music in the beer garden on warm summer evenings. Looking for some mystery? While a fire hall, there were many bizarre accidents throughout the years. When visiting today, figures of departed firefighters have been known to roam all floors of the building, and many also claim to have heard voices and laughter at all times of the day. The Elks theatre This beautiful historic theatre opened its doors in 1912 as Rapid City’s first Elks Lodge & Opera House – boasting the frequented presence of Alfred Hitchcock during his filming of North by Northwest (1958), as well as Gutzon Borglum while carving Mount Rushmore (1927-1941). Today, this beautiful theatre shows films from the past, current box office hits, and family favorites year-round. Film tours, concerts, and presentations are also held in the main theatre on a beautiful stage complete with traditional red draping. Are you brave enough to book that 8th floor room? The Hotel Alex Johnson offers a Ghost Adventure package. Seeking Christ and serving others until all things are made new. Welcome reception, deluxe hot continental breakfast, high speed WIFI, airport shuttle, room microwave & fridge, in room safe, guest laundry, exercise room, indoor pool with two hot tubs, large meeting area. Who’s Toys has one of three Superplexus Circles in the whole world! The circle, as the name implies, is chock-full of rings. They intersect, align and explode! Spice & Tea Exchange 519 6th St. 605-791-2900 Mon-Sat 9a.m.-6p.m. Sun 10a.m.-5p.m. Discover everything from modern décor to western flare to take (or ship) home. Throughout downtown and surrounding neighborhood streets, you will be able to find the perfect piece for your coworker’s office, a friend’s porch, or even your own home. different varieties of historical, hand-cut, Italian glass beads. These beads were commission by the United States Government from Italy to be used as trade with the Plains Indians. Find the latest brands and trends in women’s fashion at multiple boutiques lining St. Joseph and Main Street. From cozy sweaters for winter to the perfect springtime dress, these pieces can become the perfect gift. Bonus: most of these locallyowned boutiques have specialty items like lotions, perfumes, candles, and more! It’s a one-stop-shop for getting well thought out (or even last minute) keepsakes for those back home. Something Just For You Even though it’s fun to give gifts, this is your vacation! Treat yourself to a massage, facial, or a blow-out so you look and feel extra-fabulous in your new finds at the local boutiques. Check out the beautiful items at the jewelry stores, grab a coffee or ice cream to go as you stroll the streets, then, grab a fresh bouquet from the florist to brighten up any space, before you head back to your hotel room. Who's Hobby House has an iconic neon sign, created in 1951, and is now in the National Registry of Historic Signs. No matter who you are shopping for, from in-laws and bosses to friends and babies, youâ&#x20AC;&#x2122;re going to find the perfect gift to bring a little bit of Rapid City home. Find a full list of shops at DowntownRapidCity.com. making it beautiful is rs. (kōl) 504 Mt. Rushmore Rd 605-791-1600 every Saturday & Sunday 10a.m. -2p.m. Mimosas – the 1896 supplement to the Oxford English Dictionary cites Punch magazine which wrote that the term was coined in Britain in 1895 to describe a Sunday meal for “Saturday-night carousers"
when brunch caught on in the states due to its popularity among Hollywood stars. the believed origin of avocado toast from chef Bill Granger in Sydney Australia. coal-fired oven that glows in the corner. From lighter options like the “Fig in a Pear Tree” salad and Scotch eggs to more heartier meals like chicken and waffles or huevos rancheros, this highrated brunch spot will have you asking for seconds. kōl also offers bottomless mimosas and Bloody Mary's on weekends. recipe (yes, it’s that good! ), and more creative dishes such as the “Migas” – chorizo sausage, onions, peppers, potatoes, tortilla strips, scrambled eggs, green chili, white cheddar. Come hungry, and enjoy a mimosa, juice, or coffee with your brunch. Sit & Sip Take a seat and relax while you sip on a late night brew or custom cocktail. Enjoy the atmosphere around you, from city lights and firesides to local bands and entertainment downtown in Rapid City. There are two waffle Holidays, March 25th is the International Waffle Day and August 24th is the United States National Waffle Day! Make sure to spend those days in one of our favorite brunch spots. waterfall, and a family-friendly atmosphere, this restaurant has a rotating menu accompanied by long-lasting favorites like the dessert display, pizzas, and of course the bottomless mimosas and bloody mary bar. Premium cigars, beer, wine and spirrs in an upscale smoking atmosphere. Not Your Typical Pub Fare…. MAKING BEER, WINE & HISTORY. FIREHOUSE BREWING CO.
From our Country Rustic rooms to our Executive & Jacuzzi Luxury Suites, all of our 84 rooms are non-smoking, warmly decorated From our Country Rustic and rooms From Country&Rustic rooms tocomfortably ourour Executive Jacuzzi furnished. to our Executive & Jacuzzi Luxury Suites, all of our 84 Luxury all of our 84 rooms Suites, are non-smoking, rooms non-smoking, warmlyare decorated and warmly decorated and comfortably furnished. comfortably furnished. Be one of the two million people who visit the legendary town of Deadwood this season! Reflect on history and strike it rich. The historic town of Deadwood has been well-established in books, television shows, and movies. Classic characters such as Wild Bill Hickok, Calamity Jane, and Seth Bullock are all part of Deadwood’s rich and varied history as a rowdy mining camp. Today, you can visit the streets as they once were and strike it rich like thousands of prospectors did long ago. annually funnelled into renovation of the historic buildings and restoration of the city infrastructure. northern trailhead for the George S. Mickelson Trail—a railroad right-of-way that has been converted for running, hiking, biking, and horseback riding throughout the warmweather months. There are more than 100 converted railroad bridges, as well as four scenic, hard-rock tunnels along the infamous trail providing Black Hills visitors and adventurers a unique rails-to-trails outdoor experience. Visit the Deadwood area during the winter months, enjoy another adventure at the area’s ski resort, or snowmobile on hundreds of miles of wellkept groomed trails. Lining the streets with an old-world charm, Deadwood’s events draw crowds from miles away. When the constitutional amendment allowing limited-stakes gambling in Deadwood was passed, there were only two other places in America where gambling was legal: Nevada and Atlantic City. The law authorizing gambling in Deadwood mandated that a significant portion of the revenue would be earmarked for historic preservation efforts. Mount Moriah Cemetery has the graves of Wild West figures like Wild Bill Hickok and Calamity Jane. Mount Moriah Cemetery that serves as the resting place for western outlaws, and learn how Deadwood went from a lawless gold camp to a modernday restoration project—and everything in between. The easiest way to see all of Deadwood is through a guided tour. Watch as history comes to life right before your eyes on a narrated trolley or bus tour of this Wild West town. For more entertainment, check out the calendar of events at blackhillsvisitor.com, and attend one of the many concerts and events the town offers. Lead is situated near the Mickelson Trail, the community is easily noted as an outdoor enthusiasts’ dream. Just minutes from downtown, visitors are able to explore to their hearts content. Get your first Hole in One! Drive further than you ever have before. With a hole a mile wide and a mile long, you are sure to get a hole in one - AND add about 1250 feet to your drive. community events throughout the warm-weather months. From festivals and parades to outdoor concerts and firework displays, this area is known for a diverse mix of entertainment everyone can enjoy! feet below ground scientists at Sanford Underground Research Facility search for answers to the most fundamental questions about the universe. Enjoy a mother lode of Gold Rush History with this one-hour, narrated sightseeing tour of Historic Deadwood and Mt. Moriah, our famous Boot Hill. Includes a visit to the graves of Wild Bill Hickok and Calamity Jane. Spearfish Canyon’s winding roads, which are dotted with breathtaking views— waterfalls and streams The canyon features countless trails, including Roughlock Falls, as well as local favourites like Devil’s Bathtub, Community Caves, and Eleventh Hour Gulch. common to see people rock climbing, biking along the designated bike paths, or flyfishing in Spearfish Creek. Grab lunch-to-go and enjoy your meal in one of the town’s 26 developed parks, pocket parks, dog parks, and sport field areas; then, you’re off to your next adventure. Enjoy dinner at one of the numerous restaurant options. Locally-owned ethnic establishments, as well as chain dining experiences, are available to you here. Kick back and enjoy a drink at a local wine bar or brewery or dive into an energetic night of performances or events. No matter what your vacation holds in store, you're sure to find Spearfish memorable. Western pioneer community Defined as "the Beautiful Forks" in French, Belle Fourche (pronounced “Bell Foosh”) is noted for being the geographic Center of the Nation – marked by a granite monument and a path of flags. Center of the Nation. Although the monument is placed in Belle Fourche, the actual center of the nation is 21 miles outside of town on private land in a nearby pasture. If you're looking to visit the remote location, follow the directions on the city's chamber of commerce site and look for a patriotic sign and a US Flag. Watch out for cow pies! through his ranch, ultimately creating the western cow town. In 1893, more range cattle were shipped out by rail than at any other railhead with a record of 4,700 carloads. Orman Dam – also known as the Belle Fourche Resevoir – was created giving the agriculture community a large boost. Today, many residents enjoy camping and spending the day at the dam swimming, fishing, and boating. Belle Fourche is proudly known for their fourth of July celebrations. Red, white, and blue adorn the streets for the mile-long parade. Enjoy the carnival downtown filled with family-friendly rides and don’t miss the city-wide barbecue. The Black Hills Roundup is one of the oldest continuously held outdoor rodeos in America during Independence Day weekend.. Cowboys and cowgirls come from all over to compete here. Frontiersman Buckskin Johnny's cabin can be found at the Tri-State Museum. The first cabin built in its area. Mato Paha “Bear Mountain” is the name given by the Lakota to the sacred site of Bear Butte State Park outside of Sturgis. The park is still important in American Indian ceremonies and offers great hikes for visitors. From the 4,426foot summit, you can view four states in the distance. motorcycle race has evolved into South Dakota’s largest tourism event and has spread throughout the entire Black Hills, keeping its focus in the Sturgis community. Sports cars fill the streets in late August and early September for the annual Sturgis Mustang Rally. Mustangs of every year can be viewed roaring through the streets. Participants in this event enjoy everything from autocross, drag racing, burnouts, auctions, and anything else they can imagine. But events aren’t the only thing the city of riders is known for. Their industrial park is home to some of the nation's premiere gun makers and ammunition manufacturers. Sturgis has a great deal to offer its visitors. Discover a historic city rich in the tradition of legendary riders. Hill City has a strong past of discovery. accustomed to the whistle of the authentic steam locomotive on its way to and from Keystone. Enjoy the tastes of the city, too! Hill City is filled with locallyowned restaurants with unique flavor, and the beer and wine is award-winning. Add something unique to your South Dakota adventures and take a ride on a vintage steam train. Running between Hill City and Keystone, this attraction is fun for all ages. roundtrip ride will travel past some of the most beautiful sites the Black Hills have to offer. A vibrant arts and culture scene, this quaint town is home to galleries, events, wineries, boutiques, and more. a nearby town, and explore a cave deep underground like the miners once did. You'll be able to experience gravity gone crazy, catch a magic act, get lost in a mirror maze, and see all of our nation’s presidents, notable chiefs and popular political figures in wax at the museum. Filled with eclectic retailers and delicious treats, walking the boardwalk of stores in Keystone will be a highlight for the whole family. Once you're finished here, be sure to cross the street and then head downtown for more trinkets, sweets, and momentos of your Black Hills vacation. This Black Hills community is a great base camp and hub— and it’s a refreshing, fun stop along the way to other area destinations. Make sure you put Keystone on your travel plans; its personality is contagious. when you dash into the park for the Black Hills Playhouse summer stock theater—or ride your motorcycle on some of the country’s most acclaimed curves. Watch the sun set over nearby Crazy Horse Memorial or Mount Rushmore. Sound good? Then Custer’s your place. Custer was the first town in the Black Hills, established in 1875, named after the infamous Lt. Colonel George Armstrong Custer—and is the site of one of the major encampments of the Black Hills Expedition, which made the first public discovery of gold in 1874 in nearby French Creek leading the way to the Black Hills Gold Rush. Locally constructed by pioneering craftsmen, the sandstone buildings of Hot Springs give it a distinct appearance and set it apart from any other community in the Black Hills. below – like Evans Plunge, the largest natural warm-water (87 degrees) indoor swimming pool in the world. 11,000 acres at The Black Hills Wild Horse Sanctuary. hour tours are available year-round. famous attraction, the Mammoth Site—a paleontological dig site that offers visitors an in situ (bones left as found) exhibit of mammoth bones year round. Continue your Hot Springs adventure with Wind Cave. The sixth longest cave in the world is ten miles north of Hot Springs, and is the first cave site in America to be designated a national park. Then head to Angostura State Recreation Area–home to the largest lake in the Black Hills, where visitors can boat, swim, camp, and fish. Welcome to a slice of the Black Hills! Your guide to the monuments, attractions, and communities of the Southern Hills. Wouldn’t you rather be playing golf? On-site rentals for the Sturgis Rally at the Black Hills Location! We deliver to local area campgrounds. The Black Hills area is home to signature products, including originals reflecting its indigenous culture, geologic riches, or mining history. Museum gift shops, galleries, and other specialty stores offer everything from child-friendly souvenirs to fossils to fine art and jewelry. Take a trip to local boutiques, galleries, and stores to find the perfect memento. Can't fit your gift into your luggage for the flight home? No worries! Ask the retailer for their shipping options. different kinds of beads can be found at Prairie Edge in Rapid City in addition to their viewonly gallery pictured here. A unique part of South Dakota’s history is preserved and reignited through Lakota Artwork. Beads, leatherwork, and drums are just a few of the beautiful creations you will find at the galleries and stores throughout the area. Sioux Pottery Made from the red clay of the Black Hills of South Dakota—sacred to many Native American tribes. Each piece of handmade pottery is crafted by Sioux Indian artists and decorated with the designs and symbols important to their Lakota culture. Check out the stores and see many of the crafted arts on display, often available for purchase. My Gr andma went to South Dakota, AND LOOK WHAT SHE GOT ME! Located in Rapid City, Kicks & Giggles boutique is your Black Hills destination for all things baby to toddler to kids: apparel (newborn to 6Y) and gifts for the little ones you cherish. Score the best deals in the Black Hills on your meaningful memento, get a Black Hills Coupon Book. Available at Common Cents stores for $20, this book is filled with hundreds of offers for retail outlets, restaurants, attractions, and more. Stories to tell For a vintage find, the area has many antique and collectibles shops— both large and small. Create your own “Antiques Roadshow” while you’re in a local downtown or on a scenic highway. These shops reflect life in the Black Hills and house some unexpected treasures. Along with antiques, a lot of pieces have the Black Hills within them. From stone from the largest in-progress mountain carving, to stone and wood materials used to make furniture, artwork, and collectibles can be found from Hot Springs to Belle Fourche. Located at the entrance to America’s first Nat’l Monument, Devils Tower, Wyo. South Dakota designated fry bread as the official state bread in February 2005, so you know it is going to be good. Fry Bread is a Native American quick bread, and the way it is served varies from region to region—with different tribes holding unique recipes to specific areas. It is light and crispy, and is a perfect combination of salty and sweet. See some of our favorite places to dine by turning to the Black Hills Visitor Dining Guide on page 118. South Dakota buffalo is the first thing on the menu to try. Buffalo meat has a slightly sweet, yet very rich flavor and is very low in saturated fat, naturally loaded with nutrients. Appetizers such as buffalo skewers to main course meals as burgers and steaks are common options. For the best flavor, order your bison medium-rare to rare; the meat will dry out fast the more it’s cooked, since the fat content is so low. Wild game dishes with pheasant and elk are second on the list of must-try meals in the Black Hills. Elk with its clean, sweet taste can be found in common menu items such as elk stew, elk ravioli, or made into a burger or steak. Pheasant, which happens to be the state bird, is another game cuisine to taste. The high-protein meat is usually roasted— similar to chicken. Both of these game meats are often found served with pasta. A fun & entertaining environment for the entire family! Indian fry bread is a Native American quick bread, and the way it is served varies from region to region—with different tribes holding different recipes. The authentic Indian Fry bread is what makes this taco the best thing since, well, tacos! . South Dakota even designated Fry Bread as the official state bread in February 2005, so you know it must be good. The fry bread is surprisingly light and crispy, has a perfect taste combination of lightly salty and lightly sweet. Topped with seasoned beef or buffalo meat, and other toppings you would expect to find on a regular taco. Choosing an Indian Taco for your meal won’t disappoint. Rainbow trout are abundant in the streams and lakes of the Black Hills, but when your plans don’t include fly fishing, you must try the delicious trout and walleye on the menu of several top restaurants in the area. The pink, mellow-tasting meat of the Rainbow Trout is a local favorite. Try walleye, and enjoy the sweet mild taste, baked or fried. Full Bar / Private Rooms Available Dine In or Take Out Best Margaritas in South Dakota Traditional Mexican Decor A True Fiesta for Special Occasion Large Groups are Welcome Lunch & Dinner Served Daily Kid’s Meal 99¢ on Sundays See our Coupon Offer on page 132! group no matter which community you are in–Deadwood, Rapid City and beyond. Pizza is a local favorite. If you can think of a concotion of flavors, you're likely to find it here. We've got jalopeno popper pizza, mashed potato pizza, cheeseburger pizza, and a pizza Humpty Dumpty would be proud to call his own. Thick crust, thin crust, gluten-free – you've got all the options. Pair your pizza with a Black Hills brew and you have a dinner of champions. A sweet tooth’s haven is here! Watch in wonder as the delicious salt-water taffy is made through the storefront window in Keystone. Enjoy homemade fudge or caramel apples. Try a scoop of homemade ice cream at a local parlor in every town you visit—many of them have secret recipes making them one-of-a-kind. No matter where you go in the Hills, you can find sweet memories to take home. Food is the way to the heart, as some may say. Keep the hangry under control and stop into one of the local places waiting to serve you and your family in the Black Hills. Did someone say desserts? There are a lot of people unsure about bread pudding, but you can’t say you don’t like it until you’ve tried it at the Alpine Inn; it’s worth it! And when you want the best caramel rolls, Rapid City locals say Colonial House, hands down. Dessert can be for breakfast; we won’t tell. Remember what we said—you’re on vacation; calories don’t count. There are so many yummy specialty desserts to choose from, go ahead and ask for the dessert menu or get a flight of options. Paired with a little cup of espresso and its the best way to wrap up an amazing meal. Our Dining Guide begins on page 118. With a chain options and numerous locally-owned restaurants, you'll find just what you're looking for within these pages. Save big by purchasing the Black Hills Coupon Book! Filled with Buy One Get One offers for restaurants throughout the Hills, it's a travellers best friend. Nestled in Scenic Spearfish Canyon FEATURING COMFORT FOODS FOR BREAKFAST, LUNCH & DINNER! Each year, new breweries pop up in the Hills, offering a variety of craft beer and guided tours of their facilities. Many local breweries offer exclusive choices for beer tasting. Watch for both free individual samples and “beer flights”—a rack of four or more testers, usually for purchase. Most breweries will also fill and seal your growler for you to enjoy later. Expect lighter, crisper beers, some of which feature locally grown, hand-chosen ingredients. As the season begins to change, enjoy heavier tastes of porters and stouts in addition to classic IPAs, lagers, wheat beers, and more. different brews are available throughout the year at Miner Brewing Co.
Sip & sit Brewmasters in the Black Hills claim it’s the local water that gives their beer its unique flavor—making these craft brews one-of-a-kind drinks that you don’t want to miss. Step away from the grapes you know for a little while, and try some of the area’s award-winning flavors. Allow your taste buds to journey through the countless options of wines, starting with the lightest whites and progressing to the heaviest reds. A sip of water and a plain cracker between tastes will help to clear your palate. Act put a ban on the sale of all alcoholic beverages—launching the culture of speakeasy lounges and distilleries. Today, there are only a handful of distilleries to experience one-of-a-kind liquors. From whiskey and bourbon to vodka and rum, tasting the local flavors of moonshine the area has to offer is an experience all on its own. Many local venues host a number of events throughout the year, too. Visitors can experience live music, stand-up comedy shows—complete with complimentary tastings—as well as themed food-and-drink pairing dinners. Spearfish 1. Crow Peak Brewing Co. 2. Sawyer Brewing 85 Co. 3. Spearfish Brewing Co. Sturgis 4. The Knuckle Brewing Co. Deadwood 5. Sick-N-Twisted Brewing Co. Lead 6. Dakota Shrivers Brewing Co. Rapid City 7. Lost Cabin Beer Co. 8. Dakota Point Brewing 9. Hay Camp Brewing Co. 10. Firehouse Brewing Co. 11. Zymurcracy Beer Co. Hill City 12. Firehouse Brewing Co. 13. Miner Brewing Co. 14. Sick-N-Twisted Brewing Co. Custer 15. Mt. Rushmore Brewing Co. Hot Springs 16. Highway 79 Brewing Co. Dining Guide Looking for a place to dine? Whether it’s a quick bite to eat or something with western flavor and charm, search our listings to find the perfect dining experience for you. CUSTER Laughing Water Restaurant® At Crazy Horse Memorial® 605.673.4681 Unique menu items and everyone’s favorites! We are a unique mix of local chain with a modern twist. With food by the well known Alpine Inn and turning into a dance club at night, it is the place to be. The restaurant features flyts of toppings that come with entrées and sides, they also offer flyts of beer, wine, and whiskey. When Flyt turns into the club in the evening, be ready to experience the best sound, lights, fog, and glowing drinks Deadwood can offer. We will always aim to elevate your Deadwood experience. will not soon forget. We will seduce you with our luxurious finishes and great prices. We are innovative, vibrant, and have fun with no apologies. Dress up for a night on the town and get ready for the night of your life. Flyt is a trendy establishment with high energy always looking for a good time. From outdoor patios to charming atmospheres, these places to dine will have you asking for more. DEADWOOD Deadwood Legends Steakhouse at the Franklin Hotel 700 Main Street 605.578.3670 Deadwood’s best steaks and breakfast. OUR SERVICE: OUR STORY: We are a unique mix of local chain with a modern twist. With food by the well known Alpine Inn and club at night, it is the place to be. The restaurant features flyts of toppings that come with entrées and sides, they also off WE ARE: WE ARE NOT: MODEST and whiskey. When Flyt turns into the club in the evening, beUNORTHODOX ready to experience the best sound, lights, fog, and glowing ENERGETIC FAMILY FRIENDLY LUXURIOUS ORDINARY offer. We will always aim to elevate your Deadwood experience. INNOVATIVE QUIET Looking to experience something unique? Flyt is the place to be. Whether you are a large group, a couple looking for a romantic evening or single looking to mingle, we cater to all. Our guests are our VIP’s. Welcoming staff will go out of their way to make sure you and your guests are astonished every turn you make. KEYSTONE Grapes & Grinds Coffee & Wine Bar 609 US-16A 605.666.5142 The perfect stop for wine and coffee connoisseurs! RAPID CITY Botticelli 523 Main St. 605.348.0089 Unfussy setting for traditional Italian recipes from pastas to seafood specialties. JUNCTION OF HWYS 385/18 Prairie Wind Casino & Hotel 12 mi. East from Oelrichs on Highway 18 1-800-705-WIND We have foods that will satisfy whatever you fancy! While you’re off seeing the monuments, don’t forget to make time for the little experience that will make your trip memorable. From finding a trail to find a piece of serenity, to taking part in high-adrenaline attractions, there’s something for everyone in your travel party awaiting you. The Black Hills are referred to as the land of infinite variety­—reflected in everything our scenery and activities. Hammocking amongs the trees viewing the open sky, nearby lakes, and magnificent waterfalls is a favorite for many locals and visitors alike. Get up close with alligators at Reptile Gardens, see the dinos in stone at Dinosaur Park, the fossils at the Museum of Geology, Everything's Prehistoric, and the Mammoth Site. Take a drive through Bear Country USA—with a finale in Babyland to see the cute bear cubs. Feed the fish at D.C. Booth Fish Hatchery, and go to Old MacDonald’s Farm for pig races, pony rides, and plenty more. Don’t miss the begging burros at Custer State Park! And learn about the buffalo at Tatanka Story of the Bison. See the wild mustangs at the Black Hills Wild Horse Sanctuary before you end your animalloving excursions with a rodeo—a Midwest favorite and South Dakota’s state sport. Your family can enjoy over 100 popular farm animals in a clean, relaxed, hands-on environment. We are located 9 miles south of Rapid City on HWY 16 — the road to Mount Rushmore. are full of events—especially in Hill City and at Rapid City’s Main Street Square. Enjoy entertainment from concerts and movies under the stars to art, wine, micro-brew, and BBQ festivals. In August, get ready for the fair as shows, food, and rides make their way here. Visit the calendar on page 12 and at BlackHillsVisitor.com for dates and details. Visit a blast from the past by heading back in time. Museums housing the history of aviation and aerospace, presidents and historical figures, pioneer and western heritage artifacts, and other exhibits will take you back in time. Did we mention that Deadwood has shootouts? Take a tour of towns by trolley and experience the history in both Rapid City and Deadwood, or hop on the historic 1880 Train in the southern Hills and ride the rails to adventure. Your memories are going to be infinte on your trip to the Black Hills. Whether you are calling the area your destination or just passing through, we hope you are able to check off more of that bucket list this season. Kids or a kid at heart Whether you have kids with you, or you’re finding your inner child, take a light-hearted break. Find your way through the Black Hills Maze, or cruise around the race track at Flags & Wheels. Find yourself on a zipline, coaster, sky park or playing miniature golf, and explore dozens of kidfriendly attractions.Themes vary from science to mining to speed to good-old chillin’. Whatever your pace for the day, the Black Hills has somethign to offer you! $1 OF F E AC H Adult Admi s sion 5 0 ¢ OF F E AC H C hild Admi s sion Certain restrictions may apply. Must present coupon at time of visit. No cash value. One coupon per family per day. Not valid with any other promotional offer. Must call for reservation. Limit 1 coupon per group; No cash value; Not valid with other promotions; Non-refundable; Cannot make reservation online. Certain restrictions may apply. Not valid with any other offer or discount. Can not be combined with additional offers or discounts. Must mention offer at time of booking. Some exclusions may apply. Personalization on over lOOO Ornaments! Must present coupon at time of purchase. Expires 12/24/19 Certain restrictions may apply. No cash value. Must present coupon prior to purchase. One coupon per person per visit. Not valid with any other promotional offer. 605-673-2999 Adults and Seniors up to 6605-673-2999 people. 2019 season. Not valid with any other offer. Adults and Seniors up to 6 people. 2018 season. Cel1ain reslriclions rmy apply. Must present coupoo at tine of visit No cash value. One ooupn per party per day. Not valid wilh any olher promotional offer. Certain restrictions may apply. Must present coupon at time of visit. No cash value. One coupon per party. 2019 - $1 OFF PER PERSON - 2020 Buffalo Safari Jeep Ride and Jeep Ride & Cookout Park Entrance License Required Reservations Recommended Certain restrictions may apply. Must present coupon at time of visit. No cash value. One coupon per party. For more local discounts, visit blackhillscoupons.com and purchase your Coupon Book! 4 miles west of Hill City on Deerfield Rd. Black Hills Gold Originating from a legend, Black Hills Gold Jewelry has ultimately become one of the Black Hills region’s most recognized and collectible products. The familiar tricolored leaf and grape design of Black Hills Gold has become a symbol for the area over the past century, and into the new millennium. It is widely acknowledged that a would-be gold prospector named Henri LeBeau was the father of Black Hills Gold’s distinctive grapes and leaves pattern. By Federal mandate, production of Black Hills Gold Jewelry is limited to companies actually manufacturing in the Black Hills of South Dakota. The legend of Black Hills Gold’s design is attributed to a dream said to have been experienced by LeBeau while he was wandering in the Hills in the late 1870s. Upon falling asleep in a remote location in the northern Black Hills, LeBeau dreamed of a creek with numerous grape vines growing along its banks. When Henri awoke, he stumbled over the next hill to see a scene much like the one in his dream. LeBeau later set about making a line of jewelry that reflected this dream, and went on to train many of the early Black Hills craftsmen in this style of design—Black Hills Gold Jewelry became a reality. Mine for your own piece of gold at attractions throughout the Black Hills. The legendary reputation of Deadwood got its start in 1874 as a rowdy camp after the discovery of gold in the area. In 1876, miners moved into the northern Black Hills where a gold strike was found in a gulch of dead trees; and the community of Deadwood was born. ounces of gold was produced at the Homstake Gold Mine in Lead, SD under the direction of George Hearst. percent of the world's gold supply from 1876 to 2001 was prospected in the Black HIlls region of South Dakota. A group of miners staked their claim along Spring Creek, later to be known as Hillyo, then renamed to Hill City. As gold topped $800 an ounce in the early 1980s, another wave of a gold rush swept the Black Hills. Each Admission Must relinquish at time of purchase. May not be combined with any other offer/discount. Management reserves all rights. No cash value. Up to 5 per party. Max $10 OFF per coupon. Expires 3/31/20. One coupon per family. Not valid with any other sales or offers. Certain restrictions may apply. Must present coupon at time of visit. NO cash value. One coupon per party per day. Not valid with any other promotional offer. World-class competitors come to compete at Black Hills rodeo event each year. local, professional rodeos, several of which have been honored as the best in the nation. Participants go to local and state rodeos to earn money to qualify for the National Finals Rodeo (NFR). Once a cowboy/cowgirl makes the cut, they become a “card holder”, and are given preference at rodeos. Rapid City, Belle Fourche, Deadwood, and many other communities throughout the Black Hills boast PRCA rodeo events, where professionals come to compete for topdollar prizes. From county fairs to indoor rodeos, there’s always something to attend at a nearby arena. Each rodeo is a serious competition, but big on family fun, too. So, round up the family, pull on your boots, and embrace the culture as you head out to the rodeo! Rodeos are entertaining for the entire family. Enjoy the concessions, the stock, and of course, the clowns! Sutton Rodeo, of Onida, SD, is a sixth generation rodeo company, founded in 1926, best known for award winning PRCA events including Top Large Indoor Rodeo of the Year, Bucking Stock of the Year & Hall of Fame Stock Contractor James Sutton, Sr.
Must mention offer at time of booking. Some exclusions may apply. See hotel for complete details. No cash value. No cash back. Not valid with or for any other offers. Limit one per person. Must be 21. Expires 3/31/20. Certain restrictions may apply. Must present coupon at time of visit. No cash value. One coupon per person per day. Not valid with any other promotional offer. May not be combined with any other offer/discount. Management reserves all rights. No cash value. Expires 3/31/20. No cash value. Must present coupon at time of visit. Not valid with any other offer. Expires 9/30/19. Admissions valid same day only. Must present at time of order. May not be combined with any other offer. Management reserves all rights. No cash value. Blackout dates apply. Expires 9/20/19. Not valid with other offers. Limit one per family. from The Mammoth Site Bonebed with paid admission. Whether you are heading to or from the Black Hills, countless one-of-a-kind sites await you along I-90. In eastern South Dakota, Sioux Falls stands as the largest city of the state south of I-90. Stop at Falls Park to break up the drive. As you approach the Missouri River, take a pit stop at the Chamberlain Rest Areaâ&#x20AC;&#x201D;the location of Dignity, a 50-foot sculpture of a Native American woman wearing a traditional star quilt. Look to the north to view the Chamberlain Bridge, a historic connector for the towns of Chamberlain and Oacoma. Near Kadoka, to the south as you follow I-90 through western South Dakota, the Badlands appear. Interstate Exit 131 is the east entrance into Badlands National Park and the Visitor Center of Minuteman Missile Site. Wall Drug is where you will find everything from souvenir shops to a giant animated T. Rex and plenty of space for the kids to unwind after a long day on the road. The highest elevation along I-90 is in South Dakota, at 1,729 feet. feet into the sky stands Dignity, a sculpture of a Native American woman wearing a traditional star quilt. Take it in and stay awhile! From backroads of beauty to fun-filled attractions, the Black Hills are the perfect stop along the way. 10 to 40 miles beyond the South Dakota border into Wyoming. West of Sundance, as you near Moorcroft, look to the north for occasional glimpses of Devils Tower National Monument across the rolling hills and high plains. At Ranchester, take scenic US Highway 14 over the Bighorn Range and through Shell Canyon to Cody. This part of Wyoming is where Buffalo Bill Cody, along with diverse cultures associated with Western life, are celebrated. Cody is also known as the eastern gateway to our nation’s first established National Park in 1872—Yellowstone. feet above its base, Devils Tower in Wyoming boasts over 50 routes for climbing. Where Americaâ&#x20AC;&#x2122;s Always been Great. When visiting these local businesses, let them know you saw them in Black Hills Visitor!